I am by no means an interior designer. But I recently toured several different designer homes with some friends looking to move. 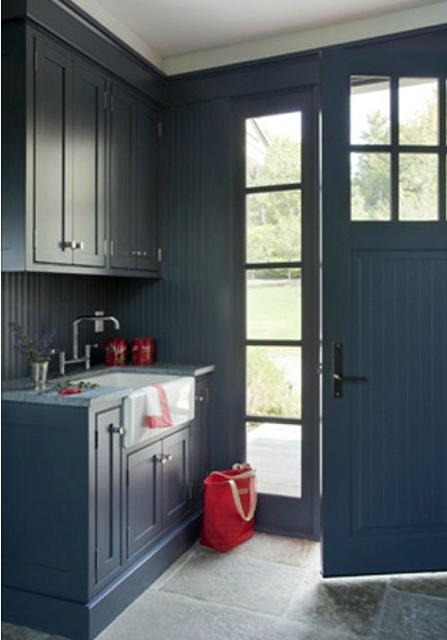 I gotta tell you … there are some great ways to add design appeal by painting interior doors and trim that never occur to me. I always think of painting color on the interior walls but not painting interior doors and trim. For the doors and trim I always think white … a very traditional – keep it way to simple – white. What I noticed on my recent walk through of these interior decorated homes were that the interior walls, interior trim and interior doors were painted the same color or variations of a color. These subtle changes of adding color to a walls accessories can transform the look of any room. As with many things in home design, painting interior doors and trim can make a big impact! 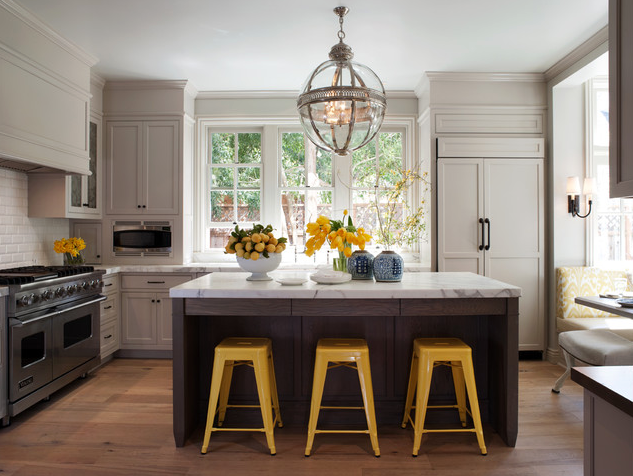 1 In this room, the built-in cabinetry was also painted in the same color as the walls, doors and trim. Notice how this helps the accessories stand out. 2 This cabinets, trim and crown molding all painted one color give this kitchen an open and airy look. 3 Plenty of natural light flows into this mudroom. 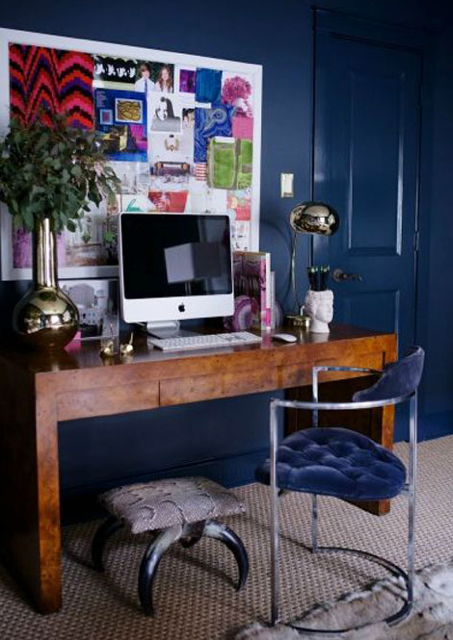 Painting everything the same color visually expands the small space. 4 Blue is a hot choice for rooms! In this photo, you can see that the doors and trimwork are done in a gloss finish.